Fall in love with the beautiful Ozarks during our Fall Diversity celebrations in Eureka Springs. This weekend features fun events all around town. Friday, Nov. 28 p.m. to 10 p.m. 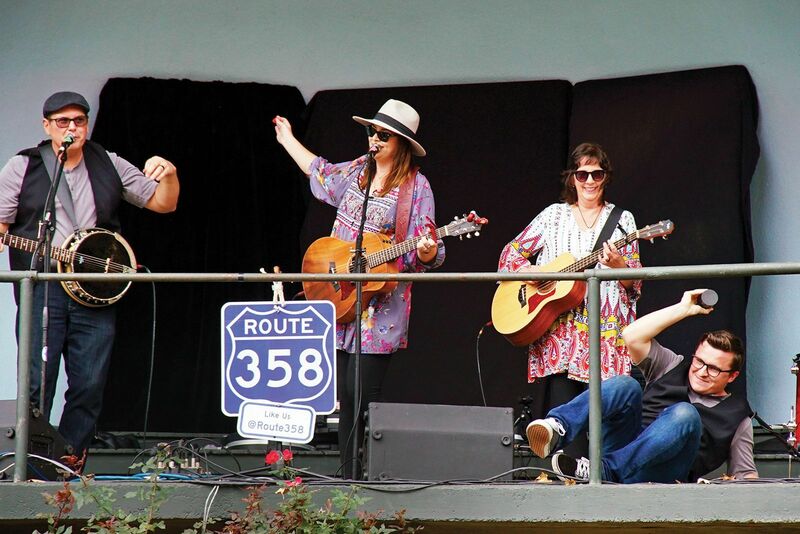 The longest running folk festival in the nation returns with fun for the whole family. There’s free music in the Basin Park Band Shell all weekend, with the headline show featuring Funky Feat on Sunday at The Auditorium. Join Eureka Springs in thanking and honoring our veterans. 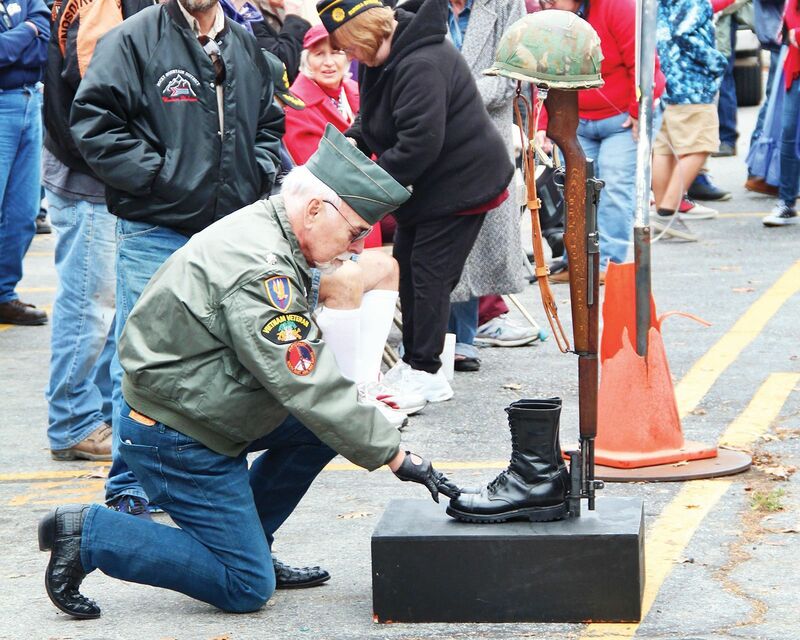 The annual Veterans Day Parade begins at 10 a.m. Friday in downtown Eureka Springs. 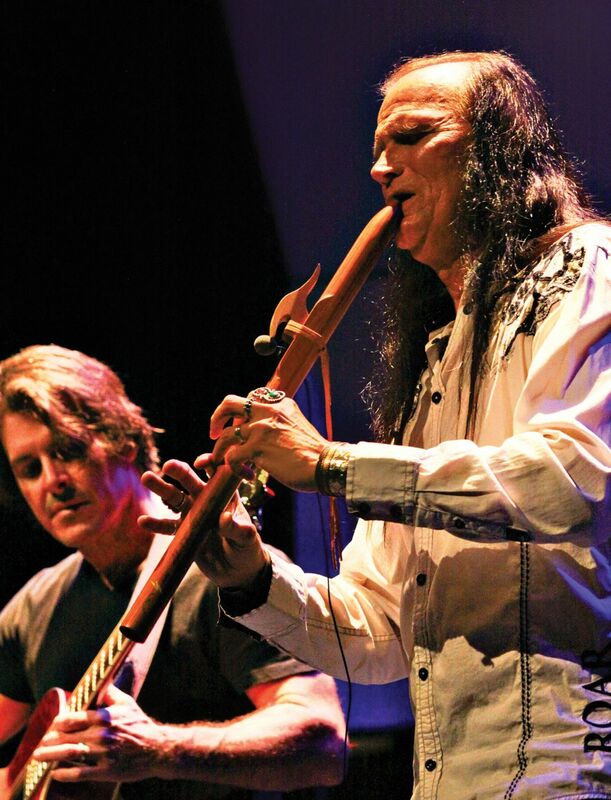 The headline performance of the 71st Annual Ozark Folk Festival. Three original members of Little Feat — Paul Barrere, Fred Tackett and Kenny Gradney — are joined by longtime Feat drummer Gabe Ford for a raucous evening of Little Feat hits. Also performing will be special guests Sierra Hull, a bluegrass singer, songwriter and musician; and Christie Len’ee, the 2017 International Fingerstyle Guitar Champion who is also a singer and songwriter. Dealers from across the Midwest bring quality antiques for this annual event. Times are 5:30 p.m. to 7:30 p.m. Friday, 9 a.m. to 5 p.m. Saturday and 10 a.m. to 4 p.m. Sunday. Some of the most talented young dancers of all ages in our region will perform in a spectacular event. The annual Don Gammie Turkey Trot is a 5K trail run and a 1-mile fun run/walk that is held in Lake Leatherwood City Park on Thanksgiving morning. All of the funds raised by this event go to the Grassy Knob Volunteer Fire Department. Experience Christmas via a drive-through light display on the grounds of The Great Passion Play. The lights will be open from dark until 8 p.m. every Thursday, Friday, Saturday and Sunday. For more information, visit www.GreatPassionPlay.org/Christmas. 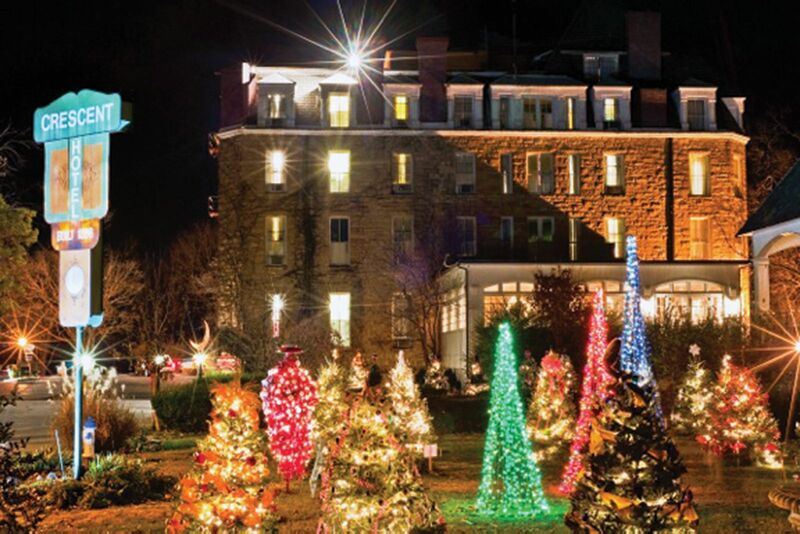 Start your holiday season in Eureka Springs! 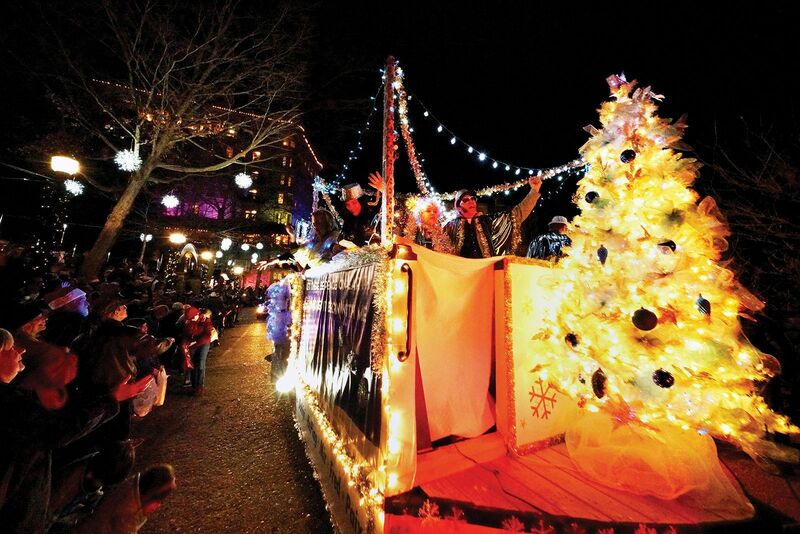 One of Eureka’s favorite parades rolls through the beautifully decorated downtown streets with floats, walkers, bands and thousands of lights. For more information call 800-6EUREKA. Saturday, Dec. 1, 3 p.m. to 8 p.m.
A walking tour of a sampling of Eureka Springs’ most beautifully restored homes giving guests a glimpse of a bygone era. All stops on the self-guided tour will be lavishly decorated for the season with Victorian attired docents to relate the history of each home. 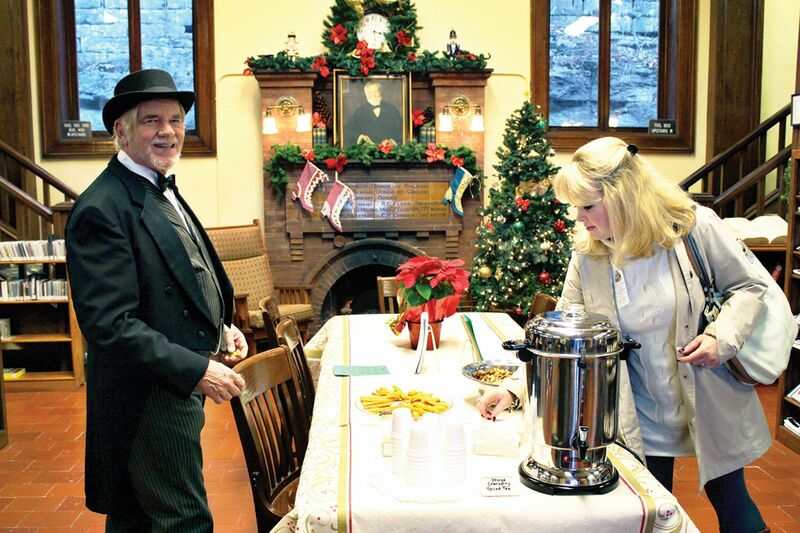 Visitors will be treated to carolers, Christmas music and refreshments along their journey into the past. Visit EurekaSpringsPreservationSociety.org for details and ticket information. Tickets are also available at the Chamber of Commerce and the Eureka Springs Historical Museum. 16th annual holiday concert featuring John Two-Hawks and the Bentonville Washington Junior High Girls’ Choir at The Aud in Eureka Springs. Tickets available at JohnTwoHawks.com or at the door the night of the performance. More than 30 Christmas trees will adorn the Crescent Hotel’s nearly15 acres. The annual Christmas forest is a community-wide event that allows votes and donations for trees representing local charities, with all money raised going directly to the charities. The top three vote-getters will receive an additional bonus from the Crescent and Basin Park Family. 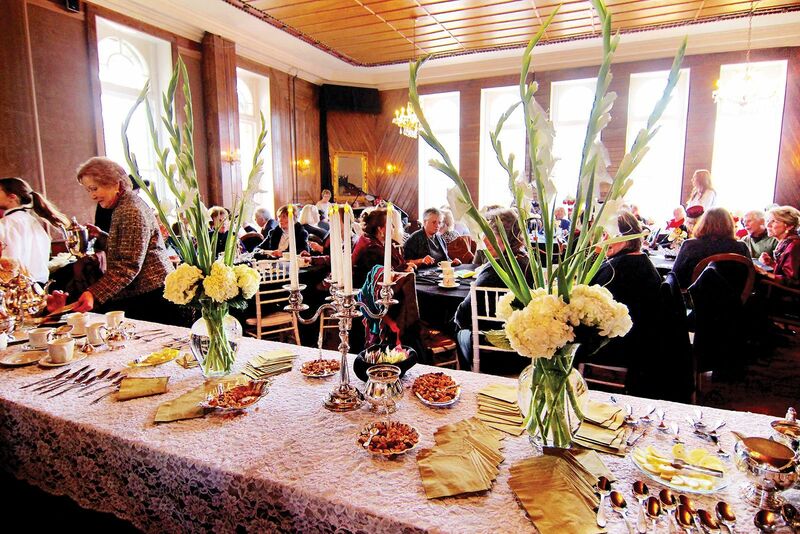 The Crystal Dining Room at the Crescent Hotel will be turned into a Winter Wonderland by St. James Episcopal Church members. This yearly event on the first Thursday in December kicks off the Christmas season celebrations occurring all over town throughout the month. The tables are covered with silver trays full of tea cookies and sandwiches. Proceeds from this year’s event will benefit Cup of Love Ministry. 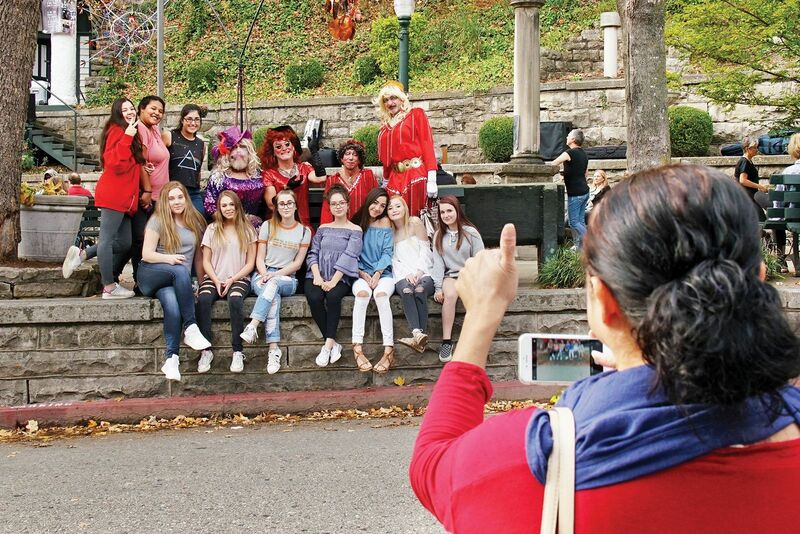 The downtown Eureka Springs Santa scavenger hunt is back! Join hundreds of Santas and their helpers to find spots with games, clues and trivia throughout the night. The person who gets the most points will win a trip back to Eureka Springs. This event is for ages 21 and up and participants must have an iPhone or Android device. Tickets will be available at the Night Market on Spring Street (the starting point) on the night of the event. Bring a Santa hat or full Santa gear to participate. This event benefits Main Street Eureka Springs. 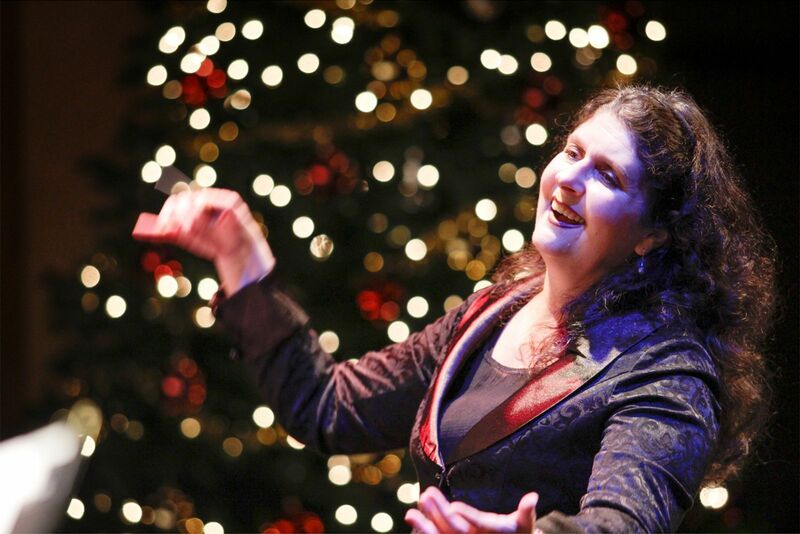 Come and celebrate the season with the Ozark Chorale. Showtime is 7 p.m. and tickets are available at the door.